Last week, rumours indicated that Apple would update its iMac line. As it turns out, Apple’s strategy was different: it has unveiled a new member of its iMac line, a lower-cost model at $1,149. The 21.5-inch iMac uses the same Core i5 1.4 GHz (2.7 GHz Turbo Boost) and Intel HD Graphics we have seen in the MacBook Air. In terms of tech specs, there are no major surprises: it has 8 GB of RAM, a 500 GB hard drive, four USB 3 ports, an SDXC housing, Ethernet 10/100/1000 Base-T; and Wi-Fi, Bluetooth LE and Thunderbolt ports. 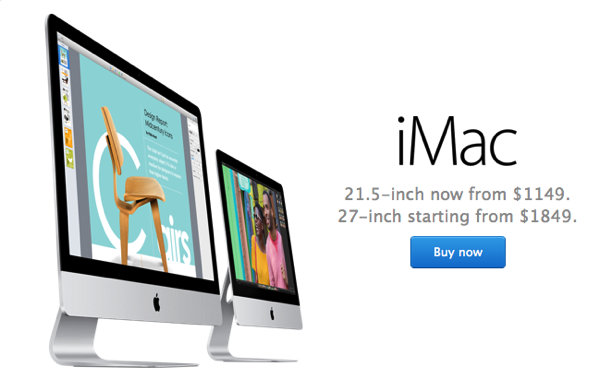 The other 21.5-inch and 27-inch iMacs are still available at the previous price. The iMac refresh confirms KGI Securities analyst Ming Chi Kuo’s prediction of a cheaper iMac. The analyst predicted last year and earlier this year that Apple aims to address growth in foreign markets by launching a lower-cost iMac. 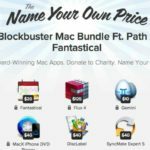 Apple is rumoured to have a Retina iMac in the works, a whisper apparently corroborated by evidence found in the developer preview of Mac OS X Yosemite. The rumour mill, however, is silent about a possible release date for the Retina iMac. The new entry-level iMac costs $200 less than the previous entry-level model and is available to ship within 24 hours. Update: Apple published a press release announcing the lower-cost iMac.